FEATURES THEIR MONUMENTAL SMASH HITS "AMERICAN WOMAN" "NO TIME" "WHEN FRIENDS FALL OUT" "NO SUGAR TONIGHT/NEW MOTHER NATURE" & "PROPER STRANGER"
The Guess Who are one of the few legendary classic rock bands that have stood the test of time for many decades. Their music penned mostly by founders Randy Bachman and Burton Cummings are compositions that are played all over, every hour, every day, thanks to the undying love and support of their fans worldwide. After a string of non-stop hit singles and chart albums, The Guess Who nally achieved their biggest album yet with the mega classic American Woman. This amazing album captured the music industry by storm and featured several smash #1 singles and solid album tracks, keeping this album in the top of the album charts for over a year. Side One features the classic title # 1 rocker American Woman. For a song originally intended as a jam in the studio, the quartet of Randy Bachman, Burton Cummings, Jim Kale and Gary Peterson soon put the world on its ear with this brash and bold commentary. Quickly rising to the top of the music charts, this tune would set the album up for its success which would go on now for over forty years. Their next super smash No Time would again make the band more music history as it landed in the top ten and showed the guitar technique of Randy Bachman which would serve as a precursor to the heavy metal sound he would later achieve with Bachman Turner Overdrive. The brilliant vocals of Burton Cummings and the three part harmony from the rest of the band made this musical manna in the summer of 1969. Radio would serve them another number one as programmers soon found the B-Side of the American Woman 45 equally appealing as No Sugar Tonight would become another signi cant chapter in this Canadian supergroup's history. More heavy hitters like When Friends Fall Out and Proper Stranger, the progressive ballad Talisman and the powerful blues shuf e of 969 (The Oldest Man) truly made the American Woman album one of the most important albums of the seventies and has continued to earn accolades into the new millennium with praise from new artists who have gone on to cover a number of tunes from this watershed release. 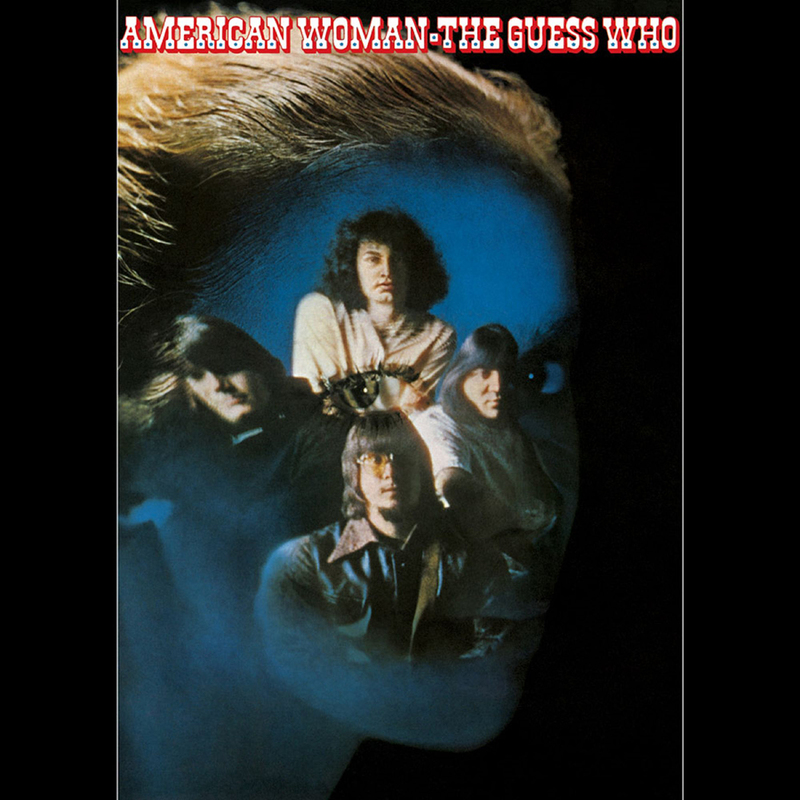 Friday Music is no stranger to The Guess Who, so it is with great honor to continue the Guess Who 180 Gram Audiophile Vinyl Series with the release of the mega platinum American Woman now on First Time 180 Gram Audiophile Translucent Blue Vinyl. Mastered impeccably by Joe Reagoso at Friday Music Studios from the original 1970 RCA Records tapes and pressed at R.T.I., this monumental masterpiece truly resonates the true rock and soulful performances of The Guess Who at their creative peak.